Alex has been in the insurance industry for over 10 years. He started his career with State Farm Insurance and grew into a sales manager role where he lead a team of 10 to become one of the most successful State Farm offices in the Western Territory. Most recently, Alex was a Commercial Lines Producer with AAA Insurance where he helped over 500 small businesses mitigate their risk. In 2018 he joined RRA as an Agent Owner to help expand their growing Scottsdale / Phoenix territory. Presently Alex has a Workers Compensation Specialist designation from CopperPoint Mutual and is currently working on attaining his Chartered Property Casualty Underwriter (CPCU) designation. 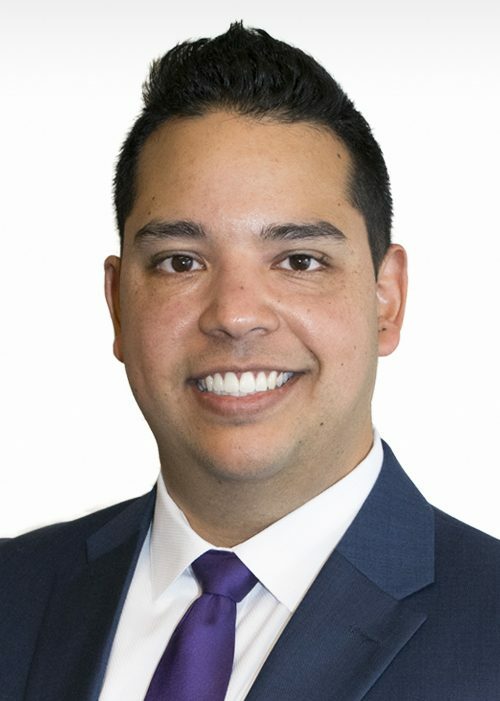 Alex has delivered presentations for professional audiences like the Arizona Hispanic Chamber of Commerce and has interest in spending more time educating business owners on the latest insurance trends. Alex has unique insight into hundreds of different types of business, cultivated from in-depth one on one business needs reviews. Originally from Texas, Alex now lives in Phoenix. He enjoys spending time outdoors with his two dogs and enjoys camping, hiking, golfing and playing racquetball.